Post Malone is the one breakout star that most people, including myself, didn’t see coming, but after an objectively very strong debut (who’s run seems to have no end) he solidified himself as a true force in music. However, it seems that not even he is immune to the sophomore slump, as beerbongs & bentleys is a noticeable step back from his impressive first attempt. His music has never been big on saying anything of much import, but here he seems to have even less to say outside of the prerequisite bombastic hooks (which he is very adept at). It doesn’t do much in the way of evolving his craft either, as the entire album just feels like a long collection of homogeneous ‘moods’ with songs that sound like every other song on the album that sound like every other song on his previous album. With the rapid pace in which music, particularly hip-hop, evolves and iterates on what’s popular, it can leave his sound, which was once unique, sounding and feeling a bit dated. It’s not bad per say though, beerbongs & bentleys is an easy (if not mindless) listen and there are a good number of stand out moments, it’s just that none of them feel as innovative or exciting as when he first burst onto the scene. He’s still very capable of making big hits with potent melodies, he just hasn’t added much depth to go with it. Damn, who are we right now? Can we have a little conversation? We carry on, what is our motivation? 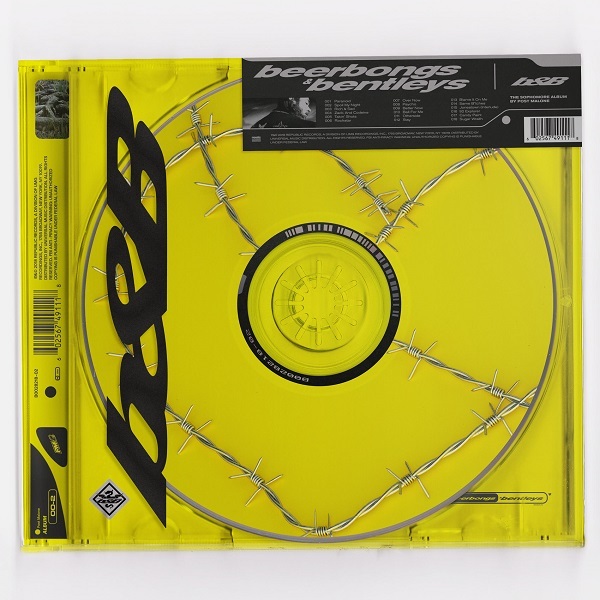 Have you heard beerbongs & bentleys? What’d you think about it? Were you hoping for a bit ‘more’ from Post Malone or were you cool with more of the same? Let me know in the comments below and be sure to leave your own ratings and reactions for the album. Post Malone's latest doesn't do much in the way of evolving his craft, as the entire album just feels like a long collection of homogeneous 'moods' with songs that sound like every other song on the album that sound like every other song on his previous album. But "beerbongs & bentleys" is an easy (if not mindless) listen and there are a good number of stand out moments, it's just that none of them feel as innovative or exciting as when he first burst onto the scene.